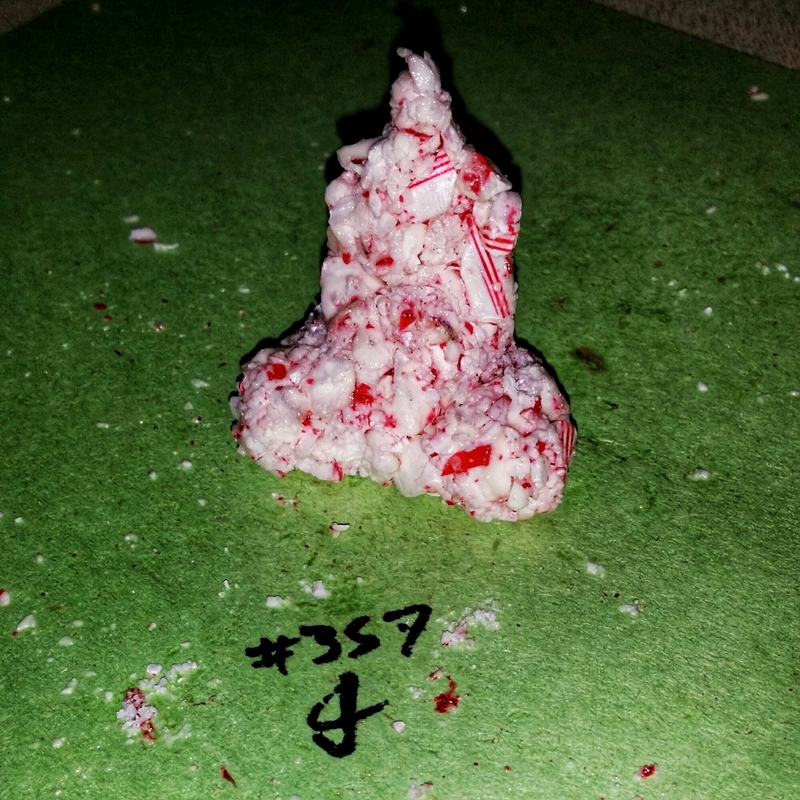 One crushed candy cane, sculpted. I was going to scatter it and arrange it into a buddha, but with the humidity it immediately stuck together. Oi vey.